Is your job stress bad for your heart? It is commonly accepted that work stress can affect our cardiovascular health. You’re probably familiar with the phrase “worked to death”! Various kinds of jobs create different types of stress, and whether the stress becomes harmful depends on the individual – some people cope much better than others. Some individuals even thrive as the stress drives them to work harder and improve work performance! So is job stress actually bad for your heart? What is a stressful job? Most studies concur that jobs become stressful in situations where the worker feels that he or she has little or no control. Let’s say you have a highly demanding job. If you have minimal power to make decisions about your daily tasks, that makes it a lot more stressful than if you have some control. If you love your job and enjoy what you’re doing, then putting in long hours is not going to have too much impact. How stressful a job is also depends on the personality of the individual and his co-workers. Persons with hostile personalities face more job stress and are at higher risk of a cardiovascular event. Jobs that require sudden intense bursts such as firefighters may also place more stress on the workers. A large British study of over 10000 white collar workers over a 12-year period found that people who felt stressed at work were 68% more likely to die of heart disease, suffer a non-fatal heart attack or have exertional chest pain (angina). Another British study of over 6000 civil servants found that overtime work of three to four hours a day was associated with a 1.5 times increased risk of heart disease, independent of other risk factors. Researchers in South Korea found that increasing numbers of hours worked per week correlated with increased heart disease. Compared to those who worked 31 to 40 hours a week, workers putting in 61 to 70 hours a week had a 42% increased likelihood of developing coronary heart disease; those working 71 to 80 hours a week had a 63% increased likelihood; while those working more than 80 hours a week had a 94% increased likelihood. Although these statistics look alarming, they must be considered in the context of other risk factors that can contribute to heart disease. 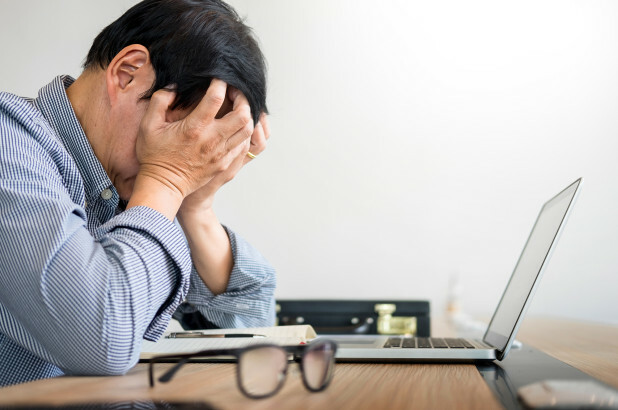 In an analysis of 13 studies pooled together, job strain was found to contribute to 3.4% of heart attacks; conversely, smoking alone accounted for 36% and physical inactivity for 12% of heart attacks! So though job stress can indeed increase heart disease, the overall burden on heart disease is small. How does one’s job affect the heart? Job stress can affect the heart arteries directly by causing mild vasoconstriction (artery narrowing). Stress causes blood pressure to rise, and blood platelets (a group of cells that promote blood clotting) to become stickier. These changes have been associated with increased risk of heart attacks. Job stress and long work hours can also result in poor sleep, a lack of physical exercise, increased smoking (to cope with the stress!) and in some people, heavy alcohol intake and binge eating, resulting in weight gain (which predisposes them to diabetes and heart disease). Working at odd hours and shift work can also result in sleep deprivation. This can lead to high blood pressure, weight gain and increased levels of a stress hormone called cortisol (this hormone increases blood pressure and blood sugar), raising the risk of heart disease. What can one do to reduce job stress? It may not always be possible to reduce job stress in a fast-paced competitive society like ours, and it certainly is not an easy thing to do in any case. However, there are some things we can do to help mitigate job stress. Regular exercise – Take short breaks where possible and move around. Even walking around is better than sitting at the desk all day. Schedule regular exercise on a weekly basis, ideally at least three times a week for 20 to 30 minutes each time. Exercise helps take our minds off work. Relax – Learning how to relax can be beneficial to one’s overall health. Picking up a new hobby takes the mind off work and helps relaxation. In many situations, we cannot reduce the job stress that we face. We can help ourselves, however, by getting regular exercise, not smoking, adhering to a sensible diet, and screening for and controlling cardiovascular risk factors for heart disease such as diabetes, high blood pressure and high cholesterol.